Have you ever had a pair of frames you adore so much that you wish they had a specs or shades counterpart? Look no further, as we are bringing you the fabulous sister styles from bebe which means you can now have a matching set for these cute frames that we know you’ll fall in love with! There are three hot designs for both sunwear and optical styles. 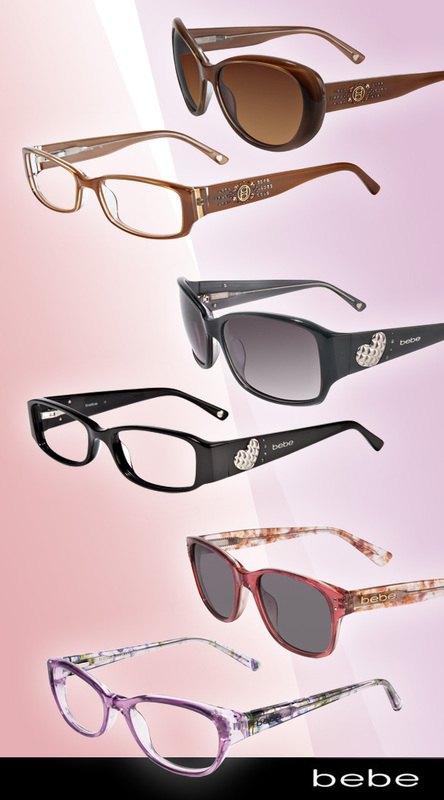 If you like feminine, trendy or classic specs, then you’re in luck as these frames come in a spectrum of colors, each with their own unique detailing including various logo treatments, bedazzled jewels or flirty patterns. Their sister sunnies share the same embellishments and come in shapes that are just as flattering as their spexy mates. For the matchy matchy gals, you can get your sisters in the same color, or if you like variety you can switch it up and opt for contrasting hues. Either way, expect lots of compliments coming your way!